Greetings everyone, for a new installment of Weird Useful and Fun! Useful – Life Extention for Real! I’ve always felt that the earth has some substance that would make us live longer, but our searches have proven futile. Now science has gotten serious at looking at aging as the disease, rather than the diseases themselves, which I think is an important use of root cause analysis. Better yet, they seem to getting somewhere. There are three dimensions they discuss – Stem cell injections, NAH+ boosting, and elimination of so-called zombie cells that refuse to eliminate themselves. This may not mean having people live to 120 years or beyond, but it might mean that our time during the last two decades of our life will be more healthy. But what if there was a real fountain of youth? What if we are really gaining on the age of longer, healthier lives? There are two resources I’d like to point you to. First, the video from the awesome guys at Kurzgesagt. This relatively new perspective on science is being cataloged in a few places, but the latest and one of the coolest is Lifespan.io, who advocate for life extension. The site is an excellent resource for those who want to look into serious treatments while removing the snake-oil salesmen. Caveat Emptor, my friends! The fun has to come down a quick shout out to my friends at Blizzard Entertainment. This convention is somewhat amazing in that its ONE company demoing their product line of games. What’s even more amazing is that this conference is at the Anaheim convention center, which is the largest convention center on the west coast at over 1.2 million square feet. Whats even MORE amazing is that this thing sells out in a few minutes. Does this make it bigger than PAX? I’m not sure. Look at the below image. 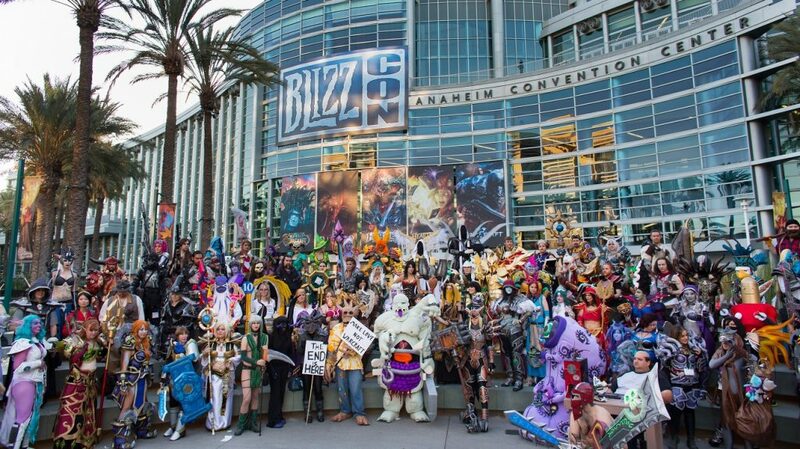 If you don’t know, this is called Cosplaying, and ALL of these people are characters from the games that Blizzard produces. It is an inspiring story to hear how the company got started from some of the folks that did it and still work at the company. Finally this – As I’ve attended this years Blizzcon virtually, I’ve watched some amazing artist. I found this awesome Laurel D. Austin, a principal artist at Blizzard, who posts great images like this one here. 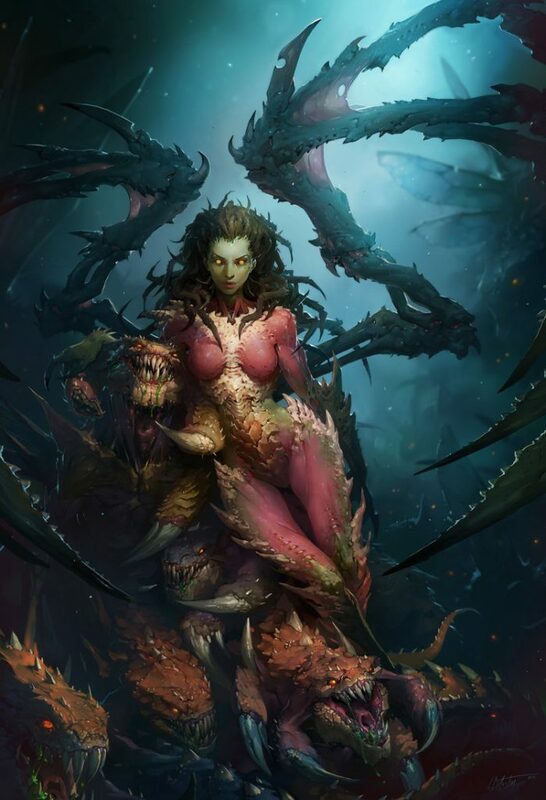 This image is from the game Starcraft, hilariously called Cuddling with Zerg ( the little creatures next to her). If you want to see more about this conference, rush over to Blizzcon.com . That’s it for now folks! Have a Weird, Useful, and Fun Week!